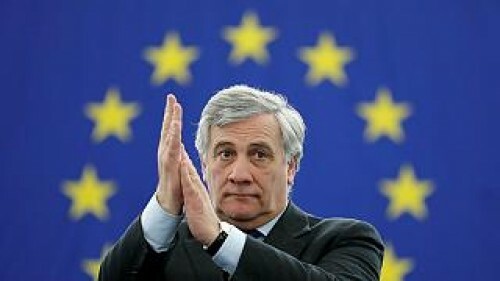 Rome : European Parliament president Antonio Tajani on Monday said that he will visit Libya and Niger this week in a bid to "help find a European solution to the problem of migration". "I believe we need to stop migration flows in Libya. This is why in the coming days I will visit Tripoli and travel on to Niger: to help find a European solution to the problem of migration," Tajani told Italian public radio. Although boat crossings to Italy from Libya have dipped steeply in the past three years, most boat migrants still set sail from the turmoil-wracked North African country. Niger is also another major transit country for migrants seeking to reach Europe from Africa. Over 700,000 boat migrants have landed in Italy since 2014. Faced with the country's threat to veto the conclusions of the European Council summit last week unless it received more help from other EU states in handling the migrant influx, EU leaders controversially agreed to set up secure centres for migrants in the bloc, to create "disembarkation platforms" outside the bloc and to redistribute refugees among member states.